For years, I enjoyed reading shifter romances. The passion. The danger. Wow. 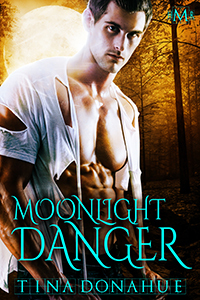 However, it wasn’t until recently that I wrote my own tale, Moonlight Danger. One thing that has always fascinated me about shifters is how they fit into the so-called ‘normal’ world and also with others like themselves. I saw an incredible amount of conflict, suspense, and romance in the concept and couldn’t wait to put my thoughts down on paper. Thus, Moonlight Danger was born. Please enjoy the blurb, an excerpt, and teasers for my story. Thanks to Desiree Holt for inviting me to be a launch author for her great new series Hot Moon Rising. All the books are stand alone, but involve the shifter pack in Moonlight.